Although still behind its international counterparts, the local contact centre industry is moving towards social media communication. According to Ovum research's 2013 Trends to Watch report, not only will social media response teams move into the contact centre, but the researcher predicts a 21% compound annual growth rate (CAGR) for social media monitoring within the customer service function in the next five years. Ovum also says companies need to look at intuitive analytics technologies and multi-channel metrics to pre-empt the needs of modern customers. According to Selvin Kristnen, MD of Avaya South Africa, the contact centre is no longer only about servicing voice; a revolution is under way in customer service, being driven by the new generations of consumers, new modes of communication and consumer adoption of social media. Despite this, however, voice still plays a very important and large role within the contact centre. This is especially true on a local level, as social media adoption is still lagging compared to developed countries. Graham McLeod, manager of the CRM Focus Team at Nashua Communications, says voice still plays at least a 90% role in contact centres. "Even though there has been an uptake in social media by organisations, SA is still not near to the US in this regard, as we have a number of obstacles preventing growth, namely the availability and cost and quality of bandwidth." 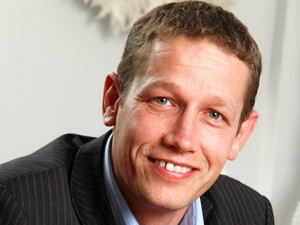 McLeod says the quality of the interaction between the contact centre and the customer has to be superb at all times, and ultimately, an ADSL connection is just not suitable. Says Darren Arnold, services executive MEA at Merchants: "Voice is as important as ever in the average contact centre, and remains the medium of choice for many customer interactions. Our annual Dimension Data Contact Centre Benchmarking report for 2012 found that around 70% of all contacts are made via voice, even if volumes on electronic channels such as Web sites, e-mail and self-service are growing all the time." He believes the various self-service channels are ideal for low complexity, transactional customer requests, but voice remains the channel of choice for more involved queries. Once niche, social media has become a channel that businesses cannot afford to ignore. 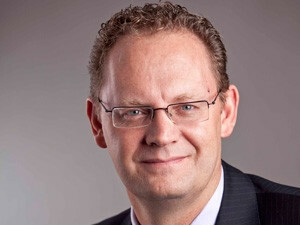 According to Deon Scheepers, strategic consultant EMEA at Interactive Intelligence: "While we are seeing 'generation Y' leaning more towards online self-service and social media for their interactions, you will still find that when they need an answer or resolution quickly, they will revert to voice as their preferred channel of communication with a contact centre. The older generation still prefers voice as the main channel for communication with contact centres. "However," he continues, "voice is an expensive channel for contact centres. It is estimated that 65% to 70% of a contact centre's operational costs rest in their live component. Therefore, many are encouraging self-service as an option for cost containment. They are also starting to see a need to offer additional channels to meet new consumer demands. However, the balance will not shift away significantly from voice in the short term." Ovum's research report also predicts mobile self-service will become more intelligent - customers will have the ability to request a call-back from within a mobile application, and it will become easier to transfer a query from a self-service application to voice, chat or e-mail. 1. The rise of the decentralised contact centre. 2. E-mail, Web chat and social media interactions help avoid the complications caused by accents and cultural differences when calls are routed offshore. 3. Multimedia self-help customer transactions are growing exponentially. 4. Multimedia threads extend a company's global reach, potentially increasing revenue. 5. The move away from voice-only contact centres is significantly reducing operating costs. 6. The emergence of universal agents - highly qualified and multi-skilled contact centre agents comfortable with multiple media types. According to Scheepers, mobile phones are overtaking PCs as the most common Web access devices worldwide. "These powerful devices, including smartphones and tablets, enable people to interact across varied channels, such as e-mail, SMS and multimedia, anywhere, anytime. This has driven a need for companies to offer a 24/7 service environment across a variety of channels. Therefore, contact centres may need to extend their service hours, or at the very least, improve their self-service channels, to meet the demand for always-on service." Arnold agrees mobility is a potential game-changer for the contact centre, with one in five contact centres already utilising smartphone applications, according to the latest benchmark report. "Smartphones and tablets allow consumers to be permanently connected, creating, in turn, an expectation of rapid turnaround times for complaints and queries, and 24/7 access to service. Consumers want an abundance of choice on how and when they decide to make contact, and expect a consistent experience whichever channel they use." However, according to McLeod, from a device perspective, mobility has definitely increased operational costs, up to threefold even. "With the majority of SA having mobile phones, even two to three devices each, this means that the majority of calls being made from the contact centre are to mobile phones rather than landlines." Even though there has been an uptake in social media by organisations, SA is still not near to the US in this regard. He believes from an operating perspective, contact centres are not mobile in SA. "However, as we move away from voice being the primary communication platform, this will become more possible, allowing contact centre agents to respond to customers on other platforms such as Web chats, direct messaging and e-mail. They will then be able to do this from wherever they are based, whether it be at home, a coffee shop, or even another country." Furthermore, Scheepers states in many cases, organisations feel they have adequately catered for mobile by creating and deploying apps, but these apps may reside in silos disconnected from the customer service environment. "They should instead be fully integrated, delivering seamless cross-channel interaction for the customer, and a single view of the customer interaction history for the agent," he explains. "Once niche, social media has become a channel that businesses cannot afford to ignore," says Avaya's Kristnen. "Like phone calls, social media messages can be routed to contact centre agents with the right skills. Communications coming from Twitter, Facebook or company blogs can be delivered to agents with the same context as voice calls or e-mails. The latest contact management platforms can also capture additional information about the customer, including the number of followers or friends, and the sentiment - positive or negative - of a comment." Contact centres may need to extend their service hours, or at the very least, improve their self-service channels, to meet the demand for always-on service. He explains how marketing and PR departments have traditionally handled Twitter and Facebook campaigns, but bringing social media into the contact centre improves the customer experience in many ways. "It ensures a timely response as well as consistent handling and responses by agents specifically trained in the medium, both of which increase positive perception of the company." 1. Use an open-standards-based architecture to simplify design, deployment and management of single-site and distributed contact centres. 2. Use reporting tools and metrics to benchmark and improve contact centre performance, with faster call handling, fewer abandoned calls, more personalised customer contact, and reduced operational costs. The same methodology applies to the multimedia and social media threads. 3. Enable centralised management and administration of business rules, workflows, agents and operational reports across multiple physical locations. 4. Empower voice agents to learn how to handle multimedia contacts. Supervisors should be able to easily measure performance, since Web chat, e-mail and faxes are distributed using the same routing algorithms as voice calls. 5. Design the contact centre to easily integrate with existing corporate IT infrastructures. According to Arnold, the relentless march of technology has completely changed the contact centre over the past decade. "Consumers expect seamless, immediate service in a multi-channel environment that spans voice, SMS, IVR, the Web, mobile apps and social media." And because of the transparency technology brings, he continues, consumer needs and demands are forcing the agenda for contact centres. "The number of customer contacts is increasing across almost all contact channels, and a strong self-service capability is now an expected core offering from most reasonably-sized organisations," Arnold explains. According to Scheepers, the biggest change in the industry over recent years has been in customer profile, behaviour and expectations. "No longer do customers make calls from the office between nine and five. On the back of broadband availability powering advanced mobile and social media, customers now expect anytime, anywhere communications, using any channel they choose. This impacts the way contact centres operate, deliver service and even how they train their agents. Contact centres need to be prepared to meet these changing customer demands. "Now, customers have more choices than ever before, and mobile devices deliver the information they need faster than ever before. They have instant access to information about your products and your competitors' products. If you don't have the right channels and message to engage with them immediately, they will make the choice not to buy from you," Scheepers concludes.